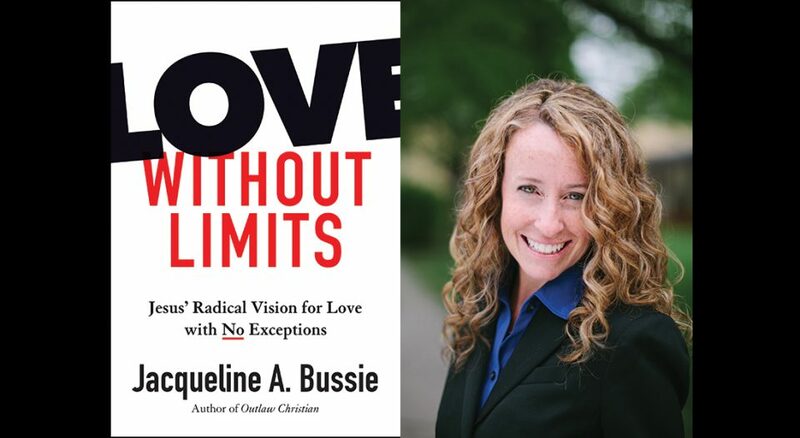 Jacqueline Bussie almost didn’t have the opportunity to publish her newest book, Love Without Limits: Jesus’ Radical Vision For Love With No Exceptions. When her publisher saw that this love encompassed Muslim and LGBTQ people, it wanted to temper the message to keep from offending its readership. Through a viral Facebook post, Bussie connected with Fortress Press, which welcomed the book without limits. Living Lutheran spoke with Bussie—who serves as director of the Forum on Faith and Life at Concordia College, Moorhead, Minn.—about her book, its practical solutions and its invitation to ever-more-limitless love. Living Lutheran: Could you tell us about your book? How would you say that writing this book has informed or transformed your faith? I’m reminded that Jesus calls us to solidarity with those who are pushed to the shadows of our society. I thought I knew that … but if I had truly understood the extent to which folks are pushed to the shadows and thrust to the margins, I would not have been surprised at what happened to the book—yet I was surprised. I’ve learned I have a tendency to give up hope too early—that, too, is humbling; that, too, is not the person I want to be in my faith. We have to hold on to hope for as long as we can and then, even if we feel like we have to let go, we have to let other people hold us up into that hope. There are so many divisions in our world today, including in our churches. How does Love Without Limits envision a way forward? My book reminds us that love is about understanding and not about agreement. Understanding and agreement: they’re not the same thing, they’ve never been the same thing. Love demands only the first thing, not the second. If we think about our lives, we all have a powerful experience of loving someone, and maybe even understanding them, even though we don’t agree with them. I heard someone say the other day, “We’ve been tricked into hating each other.” I feel that that’s what’s happening. Because we do know how to love across difference—Jesus taught us how to do it. We have to return to the fact that Jesus constantly spent his time with the outsiders in his own society, people that I’m sure he did not agree with on certain things. Jesus was not a Samaritan. Jesus was not a Canaanite. He did not practice their religions, or at least their version of religion. He loved the religious outsider. Understanding and agreement: they’re not the same thing, they’ve never been the same thing. Love demands only the first thing, not the second. I think we have to return to some of the Bible texts about Jesus. We have to say, “How does that apply to me today? How does that apply to our church? How does that apply to how I treat my Muslim neighbor, or my Jewish neighbor, or my neighbor whose skin is a different color than mine, or [if] they belong to a different political party than I do?” Jesus provides us with the role model that we need. That’s not going to be fun or easy, and we know that because we see what happens to Jesus when he does it. He’s considered a rebel—he’s not supposed to be with the outcasts and, yet, that is what he chooses to do. I think it’s very important to return to our faith in these troubled times and not allow ourselves to be tricked into hate. Your book addresses the importance of love for others, but also loving yourself. Why is this a crucial component of the conversation for you? I’ve been a teacher now for 16 years, and I encounter so many young people who do not have enough self-love. … I meet people every day whose self-love is on [“Empty”]. There are so many reasons. There’s abuse and shame and addiction or discrimination. So many people have been taught to feel “less than” in our society, and it’s heartbreaking. I see what this does to people: it hinders our ability to truly follow Jesus’s commandment to love one another, to love our neighbor as ourselves. Jesus is actually commanding that we do love [ourselves] when he says that—it’s a two-sided commandment, and we sometimes forget that the other is important. Loving ourselves is crucial in order for us to have some love to give to other people. I always say I walk out of my house as a loved person and that makes all the difference. I’m in a lot of relationships that really contribute to my self-love, but we have to see that the way we’re preaching and teaching in the church, a lot of the time, is forgetting that there’s so many people who truly believe and have internalized the message that they are “less than,” and when we say to them that pride is bad and self-love is bad because it’s the same as selfishness, we are driving them deeper into feelings of despair and self-condemnation. We just we have to stop doing that. That’s not Jesus’s message. He recognized that loving ourselves is a crucial step towards being able to fully love others. How are you hoping to inspire readers to thought and action as they engage with your book? I want loving actions, I want compassion in action. I have written the book as a how-to guide for love across difference. I give some concrete advice: You’ve got to take that person of a different political party out to lunch or coffee, and you’ve got to ask them why they believe the things that they believe, and then you have to also offer up why you believe the things that you believe. We have to build—I use a term from theologian Brian McLaren—“transgressive friendships,” friendships that cross boundaries we’re told not to cross. This is crucial to changing the world. All the social science out there shows that what truly changes people is a friendship with a person who is different from them. … This is how people’s hearts are changed and stereotypes stop.